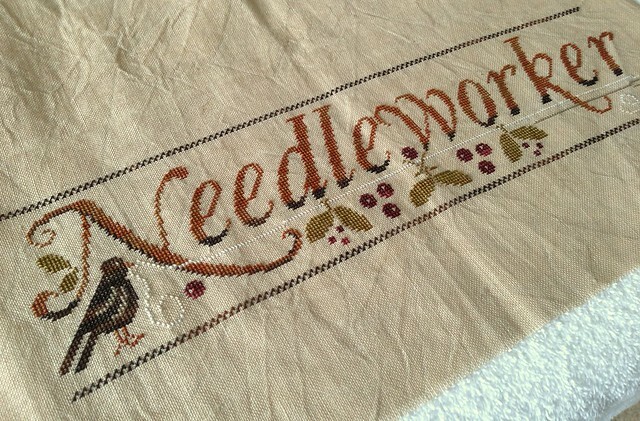 Nicole's Needlework: Summer Vacation is Over! We had a very lazy first half of our summer vacation and the second half just flew by! We went up to Michigan for 10 days and then spent a week in Florida. I uploaded our vacation pics to my Flickr Album the other day. We had so much fun and the boys were sad to start school on Wednesday. They are missing those lazy days very much! 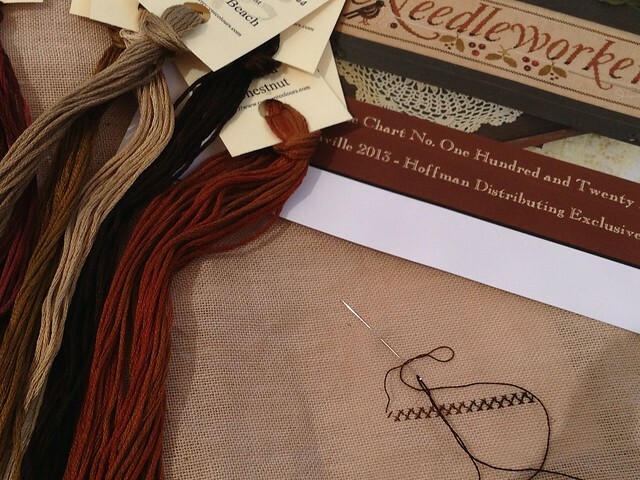 While in Michigan I started Little House Needleworks "Needleworker" pattern, which I got when we made a quick stop at The Stitch and Frame shop in Rock Hill. I finished it up after we got home from Florida. It was a great vacation project! The fabric being 35 ct. made it easy to stitch anywhere. Very sweet. Love the colors....may need to add this one to my stash. I really like that color combo!!! It's very "you"!!! Such a beautiful stitching! Just lovely! This turned out to be really pretty Nicole! Soglad you had so much fun with your family on your trip too!!! i love seeing your work!!! Love the colours, a great finish.